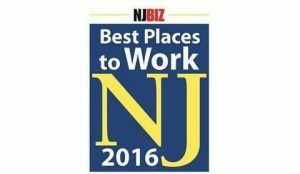 KRS CPAs Named a Best Place to Work in N.J.
KRS CPAs is proud to have been once again recognized as one of the 2016 Best Places to Work in New Jersey by NJBIZ, a leading business journal in the Garden State. This award distinguishes N.J. companies that demonstrate commitment to the professional growth and quality of life of their employees. This annual competition is judged by an evaluation of the company’s workplace policies, practices, philosophy, systems and demographics, in addition to measuring the employee experience through staff surveys. For more details on why KRS CPAs is such a great place to work, click here. To learn why our clients recommend us, click here for their stories.